Tamil actor Thala Ajith's upcoming release, Vivegam is slated to release soon. Tipped to be an action adventure, the film will see Thala Ajith portraying the role of an Interpol officer in the film. 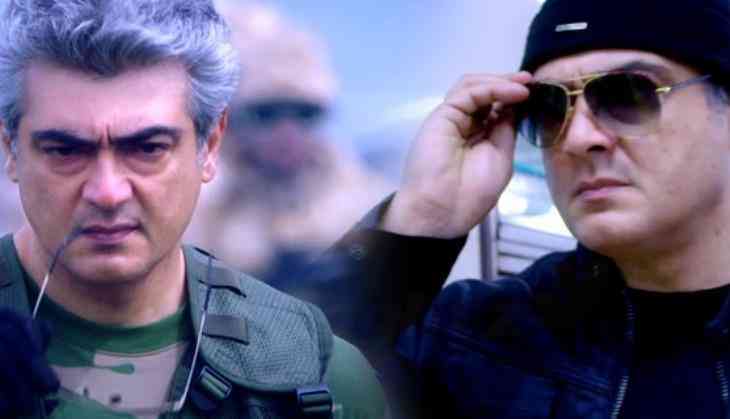 Though Vivegam was earlier scheduled to release on August 11, it will now hit the screens on August 24. And now, Siva, the director of Vivegam has revealed the time duration of the film as 2 hour and 27 minutes. Siva also added that Vivegam will surely be a visual treat for the Thala fans with high octane stunts. Interestingly, Vivegam marks Siva's third association with Thala Ajith after two box office hits Veeram and Vedalam. Vivegam stars Kajol Aggarwal in the female lead and also marks the Tamil debut of Bollywood actor Vivek Oberoi and Kamal Haasan's daughter Akshara Haasan. Sharad Yadav unites Opposition: Is he emerging as Harkishan Singh Surjeet 2.0? READ NEXT >> Sharad Yadav unites Opposition: Is he emerging as Harkishan Singh Surjeet 2.0?